"Thus the [Modernist] revolution did not cause the destruction of the novel in which character and voice and plot play non-revolutionary roles," Toibin and Callil write "instead, it refined the idea of character and voice and plot, it made novelists more self-conscious, more careful, and the language of the novel more precise, snappier and richer." Toibin and Callil's list includes expected choices such as The Catcher in the Rye (1951), To Kill a Mockingbird (1960), and Invisible Man (1952) but also offers many surprises. Of Alan Sillitoe's Saturday Night and Sunday Morning (1958), a gritty story of 1950s English working class life best known for the film version that brought stardom to actor Albert Finney, they write "If this novel were written in French, it is possible that its protagonist, Arthur Seaton, would be an existentialist hero and the book an essential modern text." John O'Hara's From the Terrace (1958), often dismissed as a soap operatic potboiler, is branded a "big, brilliant, old fashioned novel" that "deserves to be widely read and known." Black Robe (1985), Brian Moore's dark tale of Jesuits in seventeenth century Canada, is "powerful and emotional, and the violence in the book is shocking, more graphic than anything in Cormac McCarthy." Titles are listed in order of publication. The strongest year is 1991 with ten titles from that year making the list (the Regeneration trilogy, begun in 1991, by Pat Barker; Wise Children by Angela Carter; A Strange and Sublime Address by Amit Chaudhuri; American Psycho by Bret Easton Ellis; The Redundancy of Courage by Timothy Mo; Mating by Norman Rush; Downriver by Iain Sinclair; A Thousand Acres by Jane Smiley; Reading Turgenev by William Trevor; and Cloudstreet by Tim Winton). The list of two hundred was almost entirely put together by Toibin and Callil alone and there are types of novels that neither of them like. "As we chose and wrote, and agreed and disagreed, we came across novels, often famous novels, which we did not appreciate: Tolkien's Lord of the Rings for instance, science fiction and fantasy novels and most historical novels. We read and rejected them knowing that even two omnivorous readers cannot represent every taste. Indignation, as well as pleasure, will, we hope, be among the first reactions to this book," Toibin and Callil write. Other big names Toibin and Callil shut out are Truman Capote, Joyce Carol Oates, Kurt Vonnegut, Wallace Stegner, Ken Kesey, Herman Wouk, Ray Bradbury, William Kennedy, James Jones, Irwin Shaw, and Barry Unsworth. Toibin and Callil like mysteries, thrillers, horror stories, and have no bias against bestsellers. Their selections include works by Agatha Christie (A Murder is Announced, 1950), Daphne du Maurier (My Cousin Rachel, 1951), John LeCarre (The Spy Who Came in from the Cold, 1963), Carl Hiaasen (Double Whammy, 1987), and P.D. James (Original Sin, 1994). 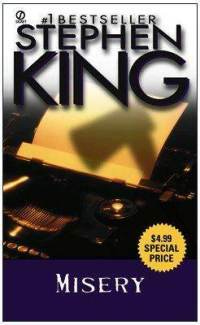 Stephen King's Misery (1987) is a "masterpiece of horror and black humor" and Anne Rice's Interview with the Vampire (1976) is classed with Mary Shelley's Frankenstein and Bram Stoker's Dracula as "one of the great tales of the supernatural, a mythic exposition of the meaning of good and evil." In two cases Toibin and Callil found it impossible to stick to their rule of including only one book by a particular author. "V.S. Naipaul and Saul Bellow have two entries, not because we consider them greater than any of the other novelists we have chosen, but because one of us considered A Bend in the River and Herzog to be the masterworks of Naipaul and Bellow, while the other disliked Herzog but argued passionately for Bellow's The Adventures of Augie March and could not feel A Bend in the River to be the equal of A House for Mr. Biswas," Toibin and Callil explain in the introduction. 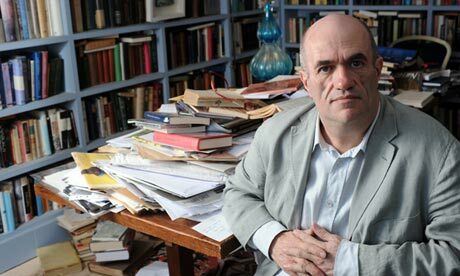 Toibin and Callil call Graham Greene "certainly the finest English writer of the second half of the century." Selecting a single Greene novel posed a problem but they ultimately agreed upon the "perfect and poignant" The Human Factor (1978) as Greene's best post-1950 work. The Modern Library's original 1999 edition actually included only one hundred ninety-four, not two-hundred, titles. The second edition, published in 2011, fills the six empty slots. One is taken by William Maxwell's So Long, See You Tomorrow (1980), a title Toibin and Callil feel they unjustly overlooked when putting together the original list. The five other additions were suggested by readers of the 1999 edition. "Our readers, all over the world, sent us thousands of entries," Toibin and Callil write. The four most popular reader suggestions -- Birdsong by Sebastian Faulks, Cold Mountain by Charles Frazier, The Magus by John Fowles, and A Suitable Boy by Vikram Seth -- were added to the new edition. Also added was the most popular reader suggestion that is not a book by a British or American writer -- The Children's Bach (1984) by Australian novelist Helen Garner. Toibin, the author of several highly regarded novels including The Master, Brooklyn, and most recently The Testament of Mary, is Irish. 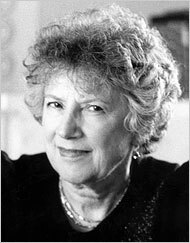 Callil, founder of the Virago Press and former managing director of Chatto and Windus publishers, is originally from Australia. They note that since 1950 English language fiction has shifted away from England. They write -- "There are countries where English is seen as both a plague inflicted on the population and at the same time as a language which they have come to possess more sonorously than the English themselves" and any serious examination of the novel in English must take in works from "India, Pakistan, New Zealand, England, Ireland, Scotland, the USA, Australia, Canada, Africa, the Caribbean, Hong Kong, and more." For a list of all the selected titles click here. Some real masterpieces in this list. Appreciate your effort to share this list with everyone. Please come up with more such posts. Kudos.